Deborah Hersman is leaving her post as National Safety Council CEO to become chief safety officer at Waymo, a self-driving technology development company based in Mountain View, Calif.
Hersman, a former chairman of the National Transportation Safety Board, will leave NSC on Jan. 11, the organization said in a statement. At Waymo, Hersman will focus on ensuring the safe operation of hundreds of driverless vehicles that are expected to shuttle passengers, the company said in a statement. “I’ve dedicated my career to promoting safety in our communities, and I’m joining Waymo because of the potential to make an even greater impact on reducing road injuries and fatalities,” Hersman said in a statement released by Waymo. NSC Chief Operating Officer Nicholas Smith will serve as interim president and CEO. 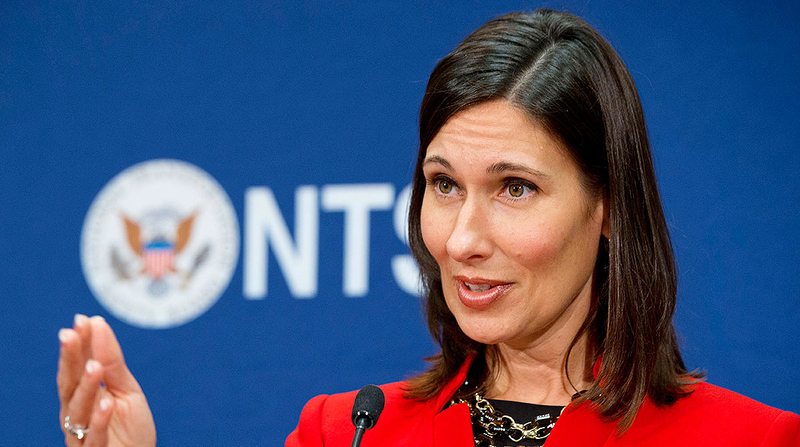 Hersman has been with the council since May 2014 after serving 10 years at NTSB. During her tenure with NSC, the council launched several initiatives focused on eliminating preventable deaths. Those included the “Stop Everyday Killers” campaign and “Prescribed to Death” opioid memorial. She also co-founded and assumed management of the Road to Zero Coalition. She launched the “MyCarDoesWhat.org” program to educate the public about vehicle safety technologies, published the first “State of Safety” report to grade states on their safety records and took on fatigue in the workplace as a strategic initiative. The NSC board has begun a search for a new president and CEO, Vergnano said. Yet, Hersman noted that fatal vehicle crashes continue to rise.